Q. 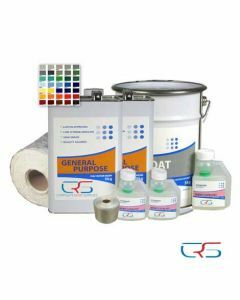 What is a 600g Fibreglass Kit? A. 600g is simply the grams per Square metre of matting, Or 2 Ounches per Square metre. Q. Can I walk on the Roof when its complete? A. GRP Roofs are rock solid when cured, Heavy Foof traffic is permited, 600g kits are used for larger commercial roofs or walkways. A. The kit would include Resins, Topcoats, Hardeners (winter grade if its below 5 degrees) Matting, Bandage for the trims, user guides via email. Top tip! Add a kiln dried sand to the topcoat for a nonslip finish! 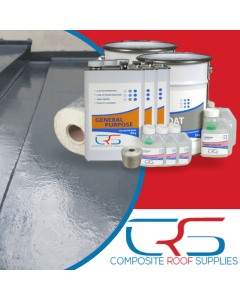 Our 600g GRP Roofing kits can be used for almost any shape or size roof. Note* Ply will require sanding with 40 grade sand paper and additional Resin for sealing and priming for secondry bonding to be effective. This Fibreglass system is easy to use and will out last many other flat roofing systems on the market. All our GRP roofing systems carry the same waterproofing capabilities, some systems have upgraded properties such a material warranties if your an approved installer or Fire rated characteristics. How to fibreglass a roof guides can be found in the how to section of our website. Need a standard 450g roof kit? 600g/m² Fibreglass chopped strand matting.